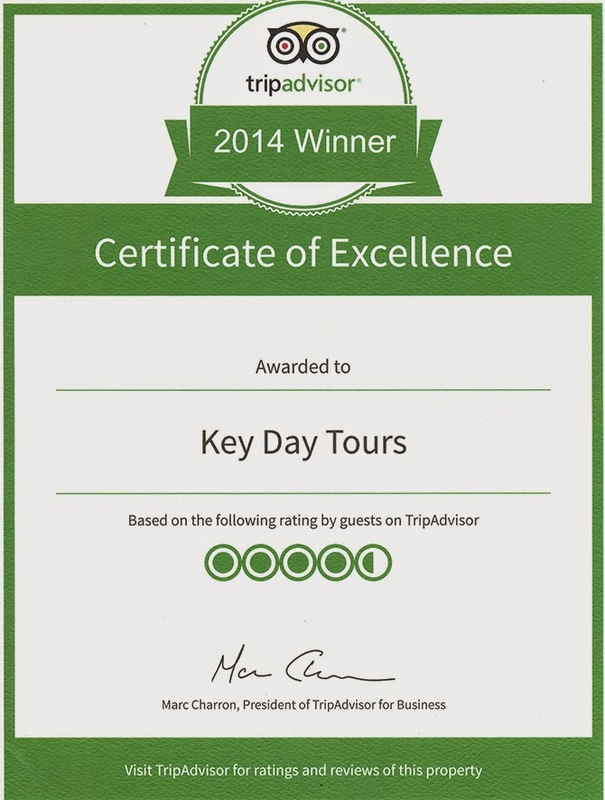 KEY TOURS ATHENS has received a TripAdvisor® Certificate of Excellence award for 4th year in the row. The accolade, which honours tours excellence, is given only to companies that consistently achieve outstanding traveller reviews on TripAdvisor, and is extended to qualifying businesses worldwide. Establishments awarded the Certificate of Excellence are located all over the world and represent the upper echelon of businesses listed on the website. When selecting Certificate of Excellence winners, TripAdvisor uses a proprietary algorithm to determine the honorees that takes into account reviews ratings. Businesses must maintain an overall TripAdvisor bubble rating of at least four out of five, volume and recency of reviews. Additional criteria include a business’ tenure and popularity ranking on the site. Reviewers rated KEY TOURS with 4.5 out of 5. This award demonstrates our commitment to providing the highest quality tours and services to the satisfaction of our customers. All of us in KEY TOURS would like to thank you all for your support and your trust. We promise that we will continue to offer unforgettable touring experience in Greece.